September has not been a productive month for Jordan Brand but that doesn’t mean that they are not making noise in the sneaker market. One of the highly-anticipated shoes from JB this month is finally out in the market – the newest edition of the Air Jordan V Retro. 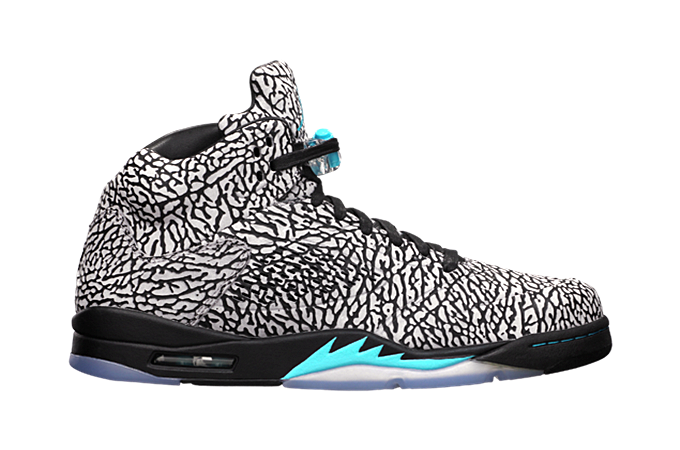 This shoe is now available in an “Elephant Print” edition that is officially listed as the Cement Grey/Gamma Blue-Black colorway of this excellent retro kick. This could be yours for just $225 per pair so make sure to secure your own pair now!